This set of clothes for baby's first Chinese New Year includes a pink patterned top and matching pants. pink woolen socks and a pink crochet ribbon with green trimming. 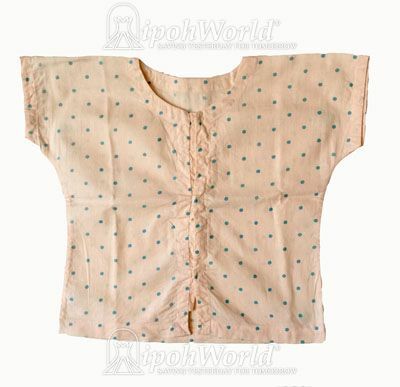 thhere is an additional pink polka dot top that came with the outfit.